Weight, Life, Diet: The Healthy Heart Trifecta – February is American Heart Month, a good reminder to have your ticker checked on an annual basis and practice healthy heart behavior all year long. In 2016, a study conducted by the American Heart Association revealed cardiovascular disease to be the “underlying cause of death,” for over 800,000 men and women in the US. While the statistics are staggering, the heart is actually a resilient little organ, it just needs regular TLC. 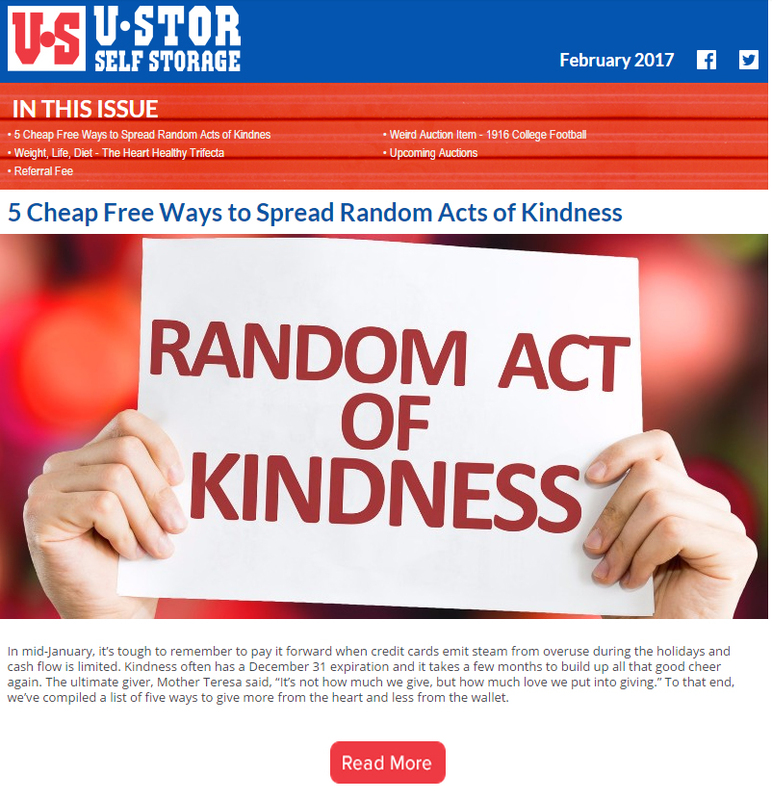 5 Cheap/Free Ways to Spread Random Acts of Kindness – In mid-January, it’s tough to remember to pay it forward when credit cards emit steam from overuse during the holidays and cash flow is limited. The ultimate giver, Mother Teresa said, “It’s not how much we give, but how much love we put into giving.” To that end, we’ve compiled a list of five ways to give more from the heart and less from the wallet. Tell a Friend, Make a Buck – Word-of-mouth is the best kind of advertising and we appreciate it when a new client tells us they were recommended by a past or current tenant. In fact, we appreciate it so much, we’re offering cold hard cash. Tell a friend and if they become a tenant, you get paid!